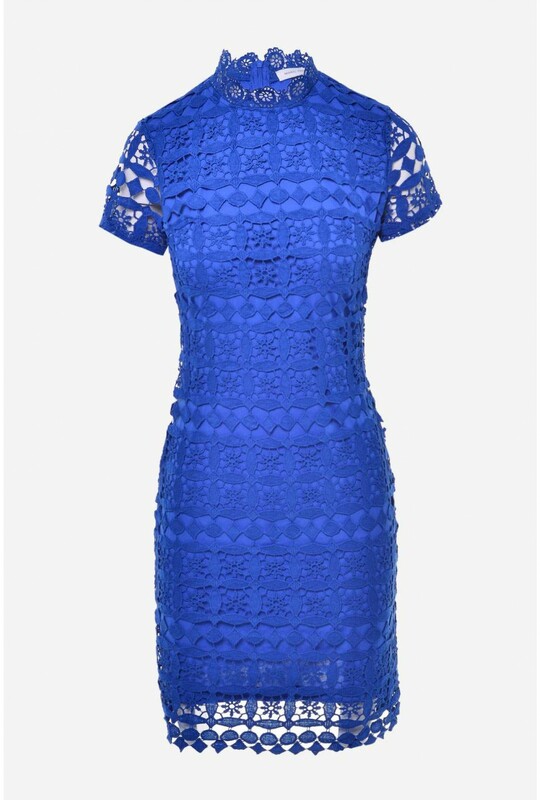 A classic and timeless trend is lace. 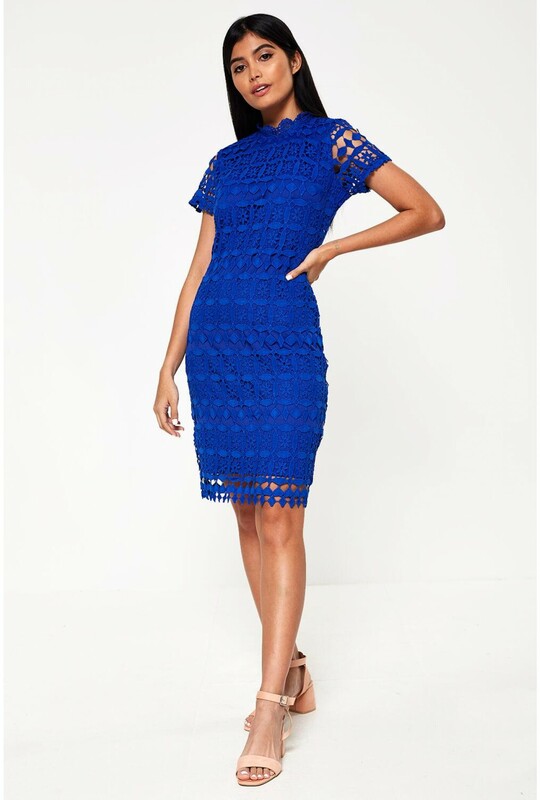 This Bowery High Neck Lace Pencil Dress in Royal Blue is a standout occasion Dress. Style with simple court heels and a matching clutch.